Happy hump day! 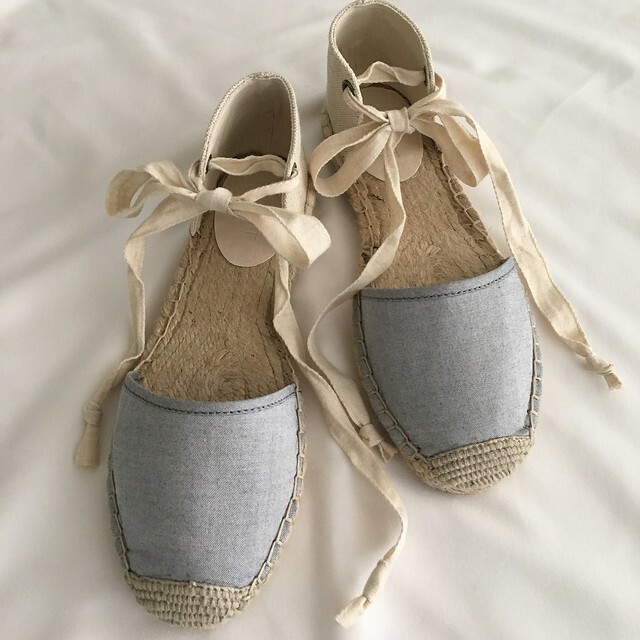 I ordered these chambray ankle tie espadrilles last Tuesday when it was the first 15% Tuesday of the month. Since no code was needed I was able to apply INSIDER926 for an extra 25% off and I also received an extra 15% off at checkout since I have a LOVELOFT card. Normally this would result in a total discount of 36.25% off but there was a slight mathematical error so I got these espadrilles for $35.70 or 40% off. I wish I ordered the stripe version too but a little birdie named Sara informed me that there is a cardholder preview coming soon (their sales are usually announced via email around 7AM EST but I noticed the promotions go live at 3:01AM EST). Ladies, make sure to prep your wishlist aka shopping carts! LOVELOFT cardholders can use code PREVIEW to get 40% off everything at LOFT today 4/13 plus double rewards points. For non-cardholders this sale will be live tomorrow 4/14 through 4/17 at 11:59PM EST. Valid in stores at online. Please check out my recent fitting room reviews here and here. These ankle tie espadrilles run true to size and I took them in my usual size 7. The material isn’t stiff so they are very soft and comfortable. They shouldn’t pinch or give you blisters. I didn’t find that they smelled like chemicals and I really hope they last since I saw one negative review about the stitching falling apart. I checked my pair after reading that review but the pair I received appears to be well made. I read that the Soludos version had quality issues as well but I can’t seem to find that review online anymore which is very strange. I’m actually home in Philly for the week so my dad helped me take these photos in lieu of my husband. I ended up with a lost of burst photos but these turned out pretty well despite the shadows. Can you tell that I’m obsessed with this stone tassel pendant? I wanted it in silver but it sold out online so I hope I come across another in store. 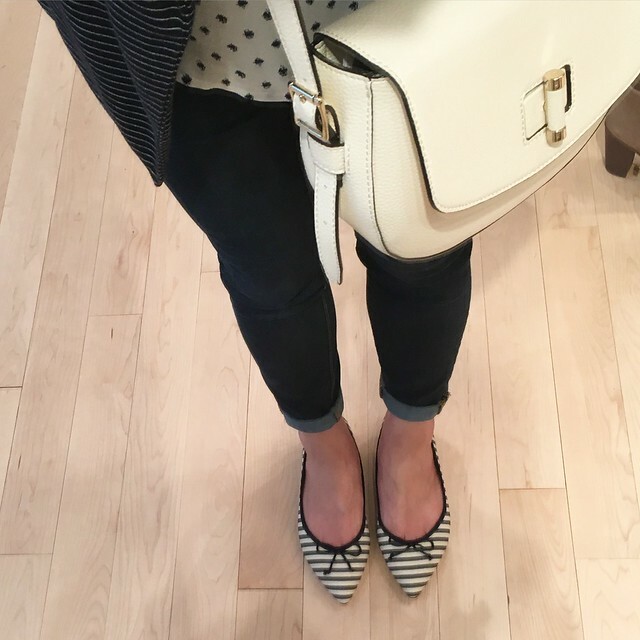 I tried on the stripe version of the gemma flats and they run true to size but given the fabric upper lining I was hesitant to pay a lot for them. FYI. They’re currently 40% off online and in-stores with code 24HOURS. Valid online only. Sale ends tonight April 13 at 11:59PM EST. 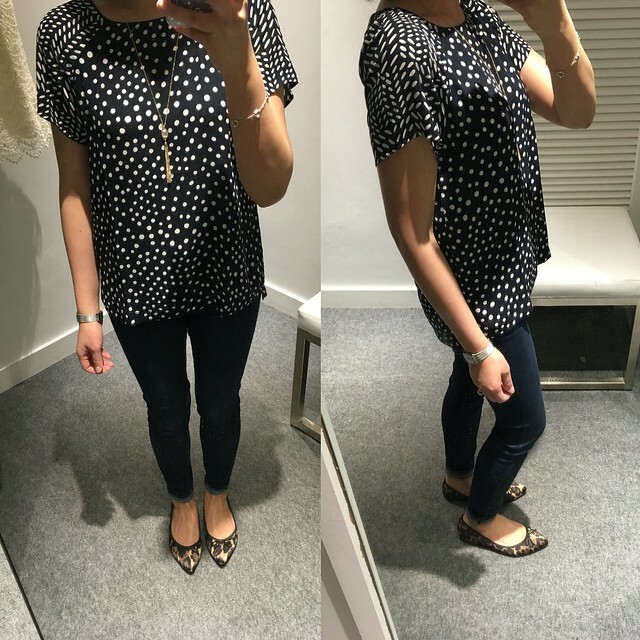 I finally got a chance to try on this dot dash fluid tee and size XS regular fits me true to size. My mom also wants this top in L regular so I might be twinning with her. I have a couple of things in my shopping cart for her since her birthday is two days apart from mine. 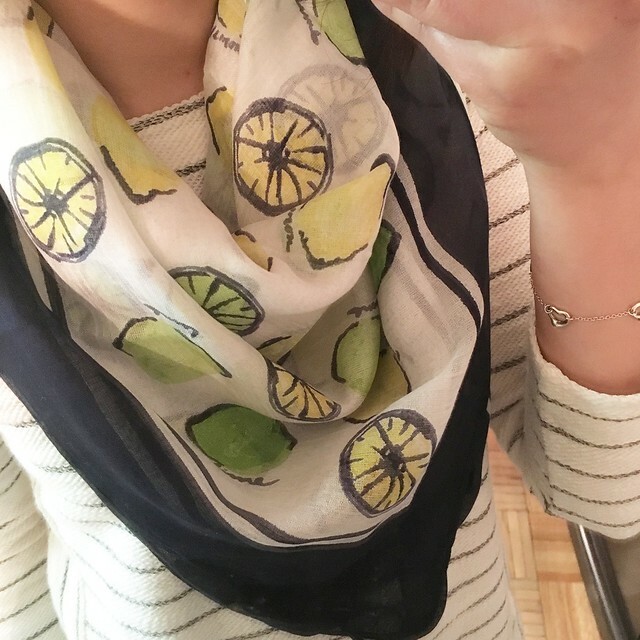 Update 4/14: My mom picked out this lemon and Lime scarf, the dot dash fluid tee, these skinny crop jeans in classic mid vintage wash and these cropped skinny chinos in Marisa fit in teal glow. The chinos run big so she had to size down to size 8 regular. She wouldn’t believe me that she should try them on in the smaller size until she tried them on for herself. On the other hand, the jeans run true to size since she’s usually a size 10 in most other brands on the bottom. We came home after a successful shopping trip for her so of course I had to try on her new scarf for fun. I got this pineapple pocketbac holder from Bath & Body Works the other day as well as the elephant but how cute are these daisy designs here and here? I love how cheery the pineapple it is. 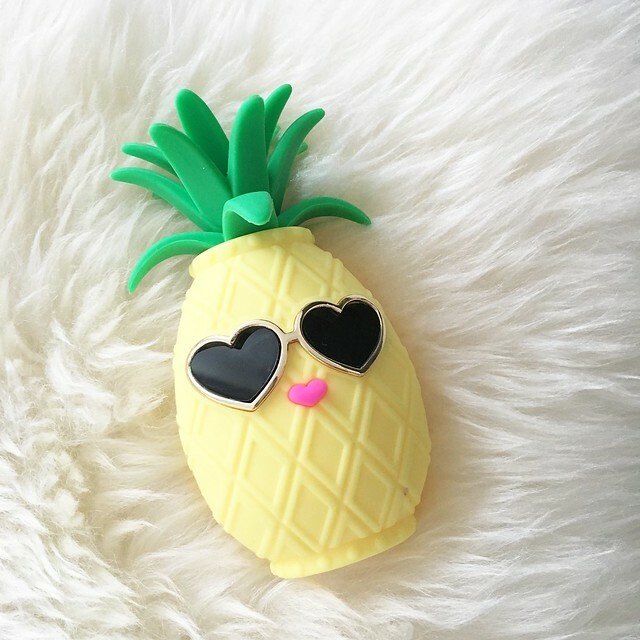 It’s a lot larger and bulkier than the other pocketbac holders but it stands up on its own so you can put it on your desk at home or at work as a quirky little knick knack. FYI. 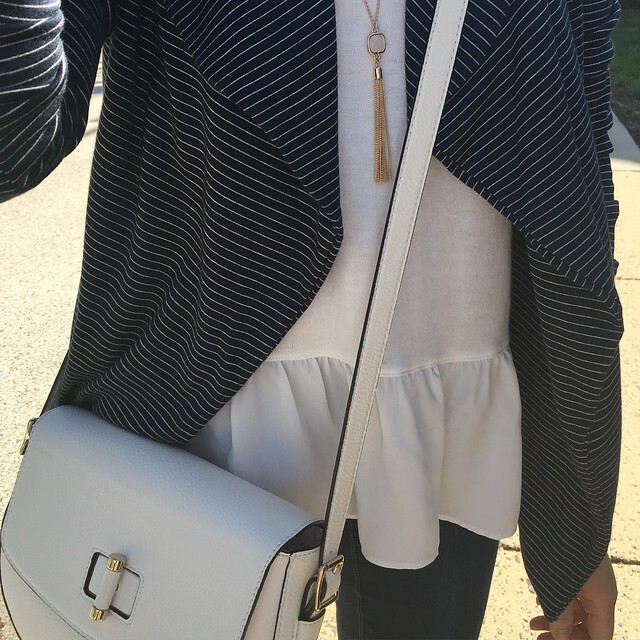 This asymmetrical drape front cardigan from The Limited is back for Spring ’16. It was part of the popular Scandal collection and you can see it on me in this old blog post as well as this post. I ruined the one I had last year by trying to wash it myself per the care instructions and I was really bummed about it since it’s a unique piece so I would recommend dry cleaning it if you decide to get it. 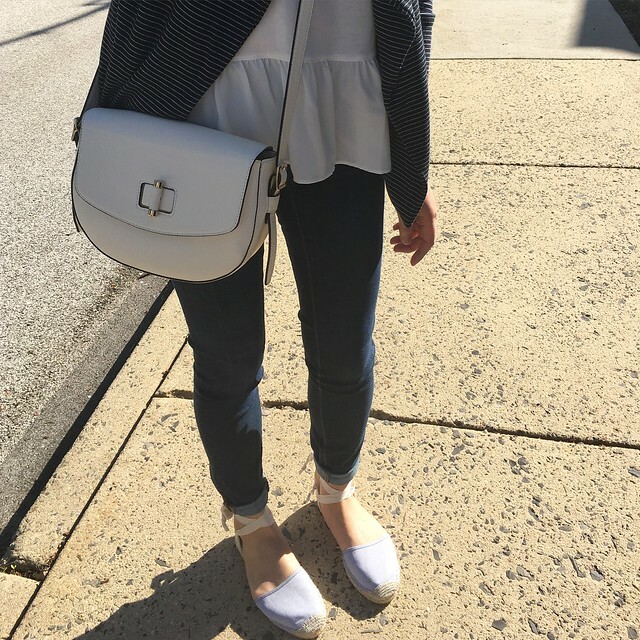 I recently ordered the cardigan, this nautical striped anorak and soft open front blazer on sale and I also have my eyes on this cropped open moto jacket which also comes in white.